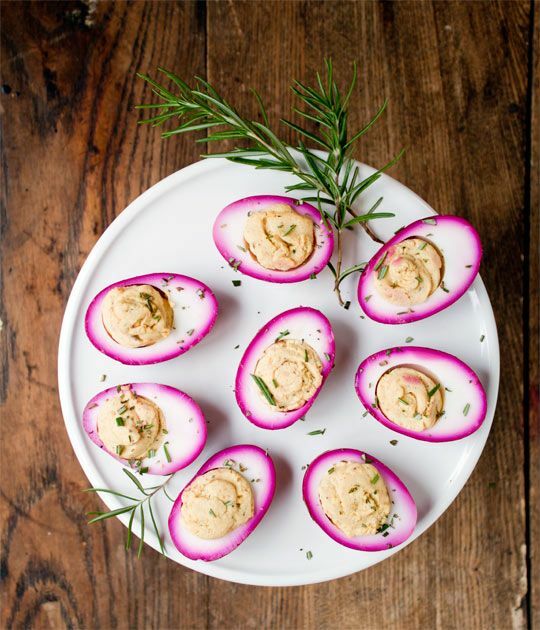 Deviled eggs are a Southern rite of passage. I mean, not that you have to be Southern to eat them (because you most certainly don't), and you can still keep your Southern card if you don't like them. But ... why wouldn't you love them?! They are classic, creamy, and low-carb for any of you who may be watching your waistlines. They are one of my favorite apps to make, and my husband could eat them by the fistful. Here are my tips and tricks to a great deviled egg. Step one: use eggs that aren't old, but aren't new either. I made the mistake of using fresh eggs last week, and man oh man, they were HARD to peel and I ended up having to chuck some of the eggs that were too ugly to serve. The shell was coming off in tee-tiny pieces and taking chunks of the egg white off along with it. So, use eggs that are a little old -- they will peel easier! Step two: Hardboil those eggs. I put my eggs in a pot, add water to cover, and bring to a boil on my cooktop. Once they start to boil, cut off the heat, put the lid on, and let them sit for 15 minutes. At the end of that time, drain off the hot water and replace with cold water. Step three: Peel the eggs, slice in half. I then put the yellow egg yolks in a ziplock baggie. To that bag I add a few tablespoons mayonnaise, a squirt or two of dijon or yellow mustard, a little relish or chopped capers. Here is where you can get creative and add other mixins -- horseradish, herbs, sub out the mayo for blue cheese dressing. Once all of your ingredients are in that ziplock bag, mush it with your hands until all of the ingredients are mixed together. Stick a clean fork in from time to time to taste the filling and see what it may need. Then, snip a corner off of the baggie and pipe the filling right into the halved, empty eggs! Step four: Garnish as desired. The classic way is with a sprinkle of paprika, but I also enjoy subbing that out for a sprinkle of Old Bay. You can add a piece of bacon to the top (candied bacon is divine) or a little bit of pancetta. Maybe a piece of pickled jalapeno, or a sliced black olive. And that's it! Lovely, delicious deviled eggs! And for any of you that are overly ambitious, try dyeing your eggs pink using beets ... instructions HERE! 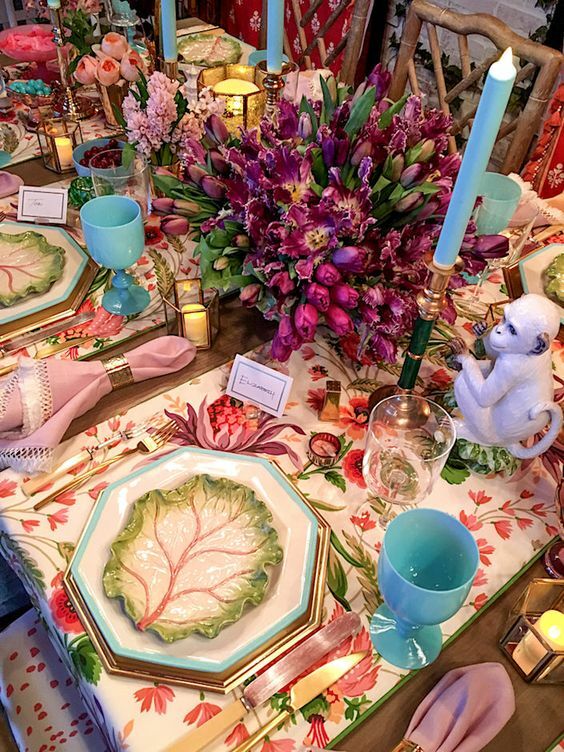 Add these to your gorgeous Easter table (this one courtesy of my favorite, Eddie Ross) and you have an Easter meal fit for royalty! What a great idea to put all the stuff in a bag! I never though of that! This could be life changing haha. We have chickens and the first time I hard boiled their eggs it was a total disaster. They were SO FRESH and peeling was a nightmare. I had no idea! Deviled eggs are my FAVORITE!! Such a southern thing! I will be making deviled eggs this weekend! 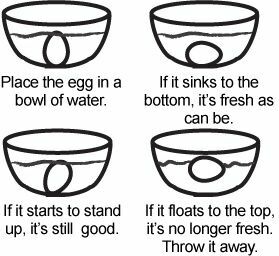 I throw some vinegar into the pot when I'm boiling my eggs because it makes them easier to peel.